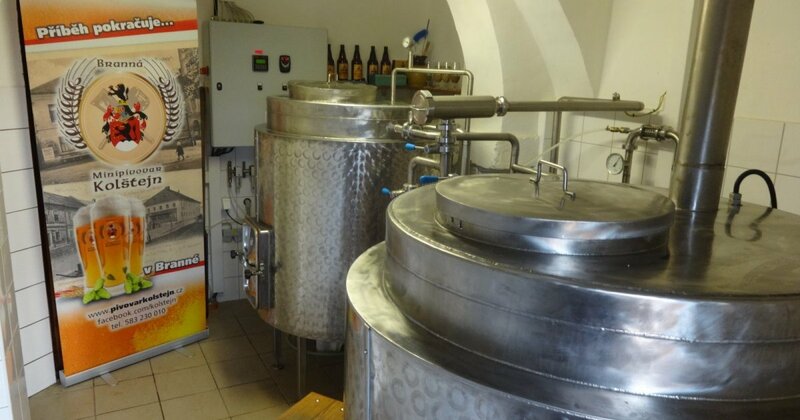 Mini-brewery Kolštejn follows up on the long-defunct tradition of brewery and brewing in the village of Branná in the Jeseníky Mountains. It is part of the complex Kolštejn Relax Center you can find it in the Kolštejn Restaurant. We brew light and semi-dark lagers, but we also prepare beer specials by season. Beer from our mini-brewery is unpasteurized and unfiltered. All of our beers can be tasted during a degustation connected with a commented tour of Mini-brewery Kolštejn.